No, this “Best Diet Pills For Women” article isn’t a top 10 list, it’s something more important. 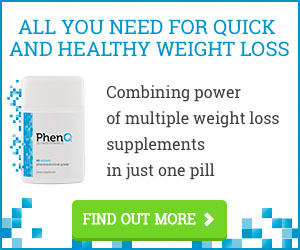 With literally thousands of diet pills for women overwhelming the weight loss market, it seems near impossible to tell one product from another let alone which one is actually going to work. Unless you talk to people who know the industry well and can tell you which products are going to give you what you need and which ones are going to burn a fast hole through your wallet but still leave you empty-handed and worse–overweight. Dieting for women is a completely different ball game than dieting for men. 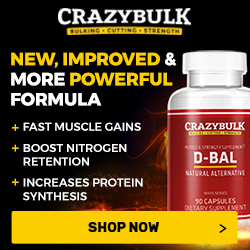 Women struggle with different things than men struggle with when it comes to shedding pounds and getting in shape and it should be a priority when selecting a diet pill that it caters to your needs as a woman so you can lose weight in the most efficient way possible. It’s important that you’re looking for and purchasing a weight loss pill that’s going to cater to the obstacles that plague you as a female dieter. Even if you don’t end up purchasing a weight loss supplement that’s slathered in pink, and you choose to go with a more neutral, even “hard-core” looking product. Several aspects of dieting that women tend to struggle with are eating when they’re not hungry and giving in to food cravings. First, it’s a fact of the matter but women often overeat when they’re bored, tired, or sad and it’s important that your diet pill contains appetite suppressing ingredients so this is no longer an issue. Second, appetite suppressants will help you remain full in between meals so you’re less likely to snack or crave sugary, high-calorie foods in between or after meals. 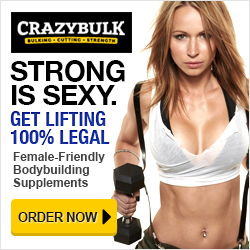 Did you know that after the age of 30 women lose 5-6 pounds of muscle mass every 10 years? You may be wondering why the numbers aren’t going down on the scale, and the answer is because that weight is being replaced with body fat. Lean muscle mass requires 9 times more energy to maintain than fat stores do, so as your muscle mass depletes, your metabolism begins to slow and you burn fewer and fewer calories throughout the day. When choosing a metabolism booster, it’s important that you look for one that contains ingredients that are going to increase your metabolism so you can begin burning extra calories. If your metabolism is increased successfully and your appetite is being suppressed so you’re consuming fewer calories as well. Your body will find itself in a calorie deficit (the ultimate goal of dieting), and weight loss is inevitable. A common problem with dieting is that as you cut calories, your energy levels decrease because you’re eating less and less often, and hopefully consuming lower calorie foods. Because of this, it’s likely that you’ll feel tired, sluggish, and irritated when the end of the day rolls around and your energy levels are low. To avoid this, some diet pills, especially fat burners, contain mild stimulants to give you an extra energy boost to get your day going and allow you to maintain a regular exercise program. By looking for a supplement that contains one or more of these energy boosting ingredients, you can have enough energy to get through your day and get you through a worth-while workout. Additionally, these ingredients often improve your drive, concentration, and stamina so you can get the absolute most out of the time you spend in the gym. No matter the supplement you choose, the best diet pills for women are going to address the specific weight loss needs of a woman so you’re not wasting time and money on worthless products in fancy bottles.